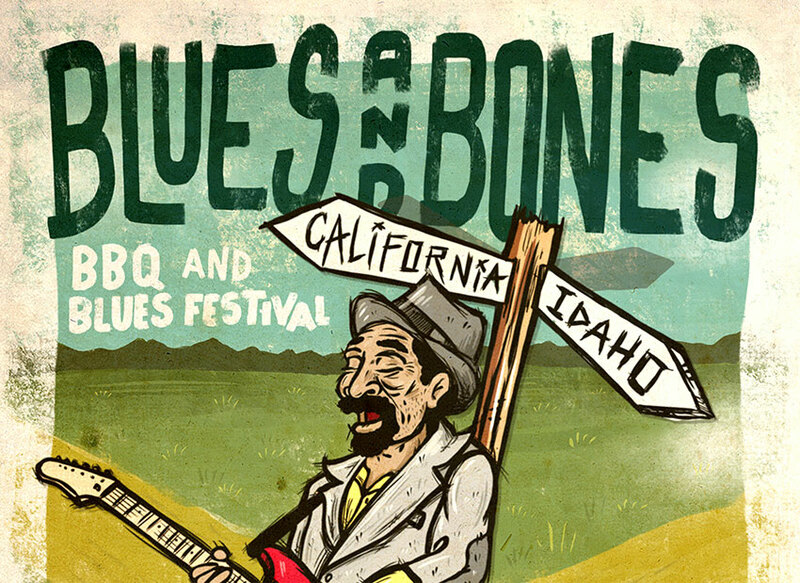 Blues and Bones Festival "California"
The 6th annual Blues and Bones Festival will be located at the Calaveras County Fair Grounds in Angels Camp, CA and is Home to the Famous Jumping Frog Jubilee. The Calaveras County Foothills will be echoing from the sounds of live Music. Featuring Dennis Jones, Chris Cain and 5 more of the areas Hottest Blues Bands. This BBQ Competition is a People’s Choice Event. If you like your food cooked slow & low, then step right up and order some of our BBQ. The folks selling you your 'Q at this years Blues and Bones festival are competing for cash prizes and bragging rights in our peoples choice contest. 1 Limited edition 11x17 2016 Blues and Bones festival poster.